Can two Ithaca lawyers keep fracking out of New York state? Helen and David Slottje moved to Ithaca in 1999. During the next ten years, they slowly transformed from corporate lawyers to the driving force behind New York's local drilling bans. The fate of hydraulic fracturing in New York is still being determined by state regulators. But that doesn’t mean municipalities aren’t taking action. There are about 100 towns in New York that have passed laws either banning hydraulic fracturing or oil and gas operations altogether. Most of the bans are temporary, about 20 are permanent. 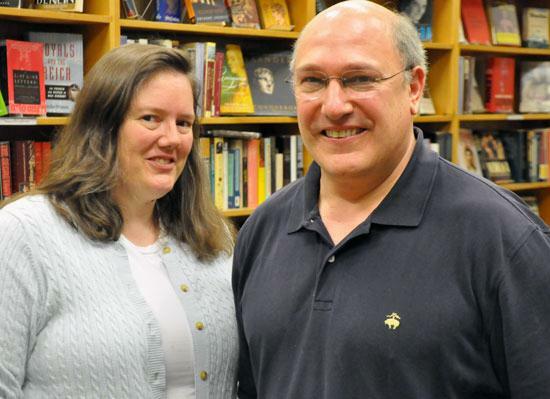 The driving force behind those bans: two Ithaca lawyers, Helen and David Slottje. Before moving to Ithaca in 1999, the Slottjes were real estate lawyers at a firm in Boston. Helen says the couple moved to upstate New York to get away from the world of corporate law. But slowly she and David got pulled into a more hectic world - the world of local people opposed to hydraulic fracturing. It all started when the Slottjes went looking for a farmhouse for David’s brother. Everywhere they went, landowners had leased their mineral rights to oil and gas companies. So they started worrying about it. Helen Slottje joined an e-mail list of people organizing against fracking in New York. 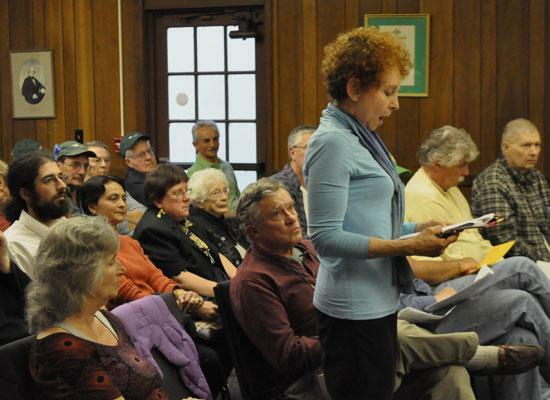 In 2009, she took up a fight against an industry project in Chemung County. Then, in 2010, she started working with the Tompkins County Council of Governments as it prepared for drilling in the area. At the time, municipal governments were grappling with ways to regulate what was thought to be an impending gas boom, says Slottje. Under New York law, the state Department of Environmental Conservation is given the sole authority to regulate the oil and gas industry, with only a few exceptions. That means towns can’t say how the industry operates within their borders. That power resides with the state. The rationale behind the law is to make things easier for industry by avoiding a patchwork of local regulations. So the Slottjes figured that towns could adopt a single law - in the form of a ban - and get around that problem. When the Slottjes realized that was the course to take, they wrote model zoning laws that have spread across upstate New York. The couple worked pro-bono, making it possible for cash strapped small towns to consider the drilling ban. In the first town the Slottjes worked with, the process took six months. Ever since two county courts in the state upheld local bans, Slottje says she’s been getting calls every day from towns looking for help. The work no longer takes six months. But for each of the 80 or so towns they’ve worked with, they go through local zoning codes and master plans. The Slottjes then draft laws including the proposed zoning changes. When invited, they also speak at town board meetings. The small Tompkins County town of Ulysses was the first municipality the Slottjes worked with. Shortly thereafter, the nearby town of Dryden passed its own ban. Dryden was then sued by a natural gas company, Anschutz Exploration, which held drilling leases there. As the bans moved from Tompkins County to other counties across the state, the Slottjes followed. Soon, wherever the lawyers went, proponents of gas drilling were there too. Tom Shepstone is the Marcellus campaign director for the industry-funded website Energy in Depth. He criticizes the Slottjes for saying they work pro-bono when their non-profit, Community Environmental Defense Council, receives grant money. Shepstone says he’s open about the fact that he works for gas companies. He says the Slottjes should be more open about the money they’re receiving too. In both 2010 and 2011, the couple received $50,000 from the Park Foundation. The Park Foundation gives out about $18 million a year in grants - with $1 million going to groups working on hydrofracking issues, according to the foundation’s executive director, Jon Jensen. Jensen says the Slottjes were already doing the work before receiving money from Park. To say the Slottjes are working for Park is misleading, Jensen says. The Slottjes say all the attention over the money they receive from the Park Foundation is just an attempt to distract people from the important issues. “The question really isn’t about Park,” says David Slottje.“It isn’t about whether we’re rabble rousers or not. Energy in Depth’s Shepstone says officials should be listening to their town attorneys, not the Slottjes, when considering new laws. Landowners and people from Shepstone’s organization go to many of the meetings where the Slottjes speak. They film the talks and write rebuttals. All this opposition hasn’t caused the Slottjes to seek a lower profile. In fact, says Helen Slottje, it’s kept her going. Slottje is convinced they are winning, that the courts will uphold the bans. Scott Kurkoski is the lawyer for the Joint Landowners Coalition of New York. He represents a Middlefield, N.Y. landowner suing over the town’s drilling ban. Kurkoski thinks the bans will eventually be overturned on appeal. And if not, he says there will be lawsuits against towns over whether they can stop residents from selling mineral rights without compensation. “So I’m not sure the towns understand what the Slottjes are getting them into,” Kurkoski says. These small towns could stand to lose millions in legal fees and landowner compensation, according to Kurkoski. It will be a while until the legality of the bans gets sorted out by the courts. And in the meantime, the Slottjes and their opponents keep traveling around the state, visiting towns and offering clashing legal arguments on what to do about hydrofracking. In a decision released Friday, acting Supreme Court Justice Donald F. Cerio, Jr. ruled that the Town of Middlefield can ban oil and gas drilling within its borders. The decision is virtually identical to one from earlier in the week in Tompkins County. 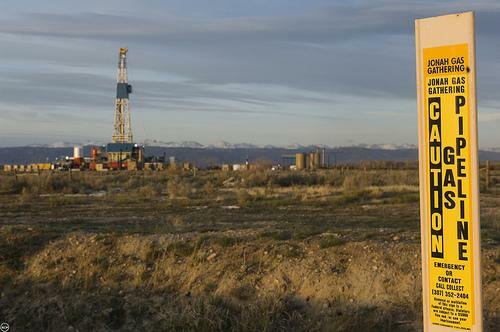 In both cases, the judges decided that the state maintains control over "how" drilling can be done while local governments keep control of "where" it can happen. The town of Vestal, N.Y., near Binghamton, is well-placed for natural gas development. Just across the border in Pennsylvania the industry is in full swing. Vestal is situated in one of the three counties in New York considered to be in the sweet spot of Marcellus Shale development. But not everyone is ready to welcome the industry.